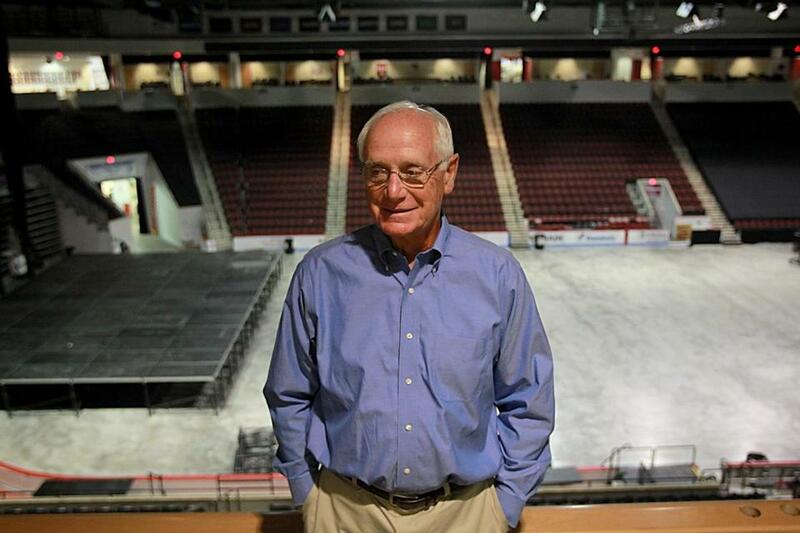 Former Boston University hockey coach Jack Parker recently sought treatment for fear of heights and claustrophobia. Jack Parker is known for his wizardry on the ice, notching more victories during his 40 years at the helm of the Boston University men’s hockey team than just about any other coach in the country. Yet it was another winter sport that brought him to his knees, and ultimately to seek treatment. Parker took up skiing at the urging of his twin brother after retiring from BU three years ago, but there was nowhere to hide from a lifelong uneasiness with heights when faced with the prospect of whizzing down an 8,000-foot mountain in Utah. “I always knew I had this fear of heights, and it got worse as I got older,” Parker said last week, tanned, trim, and still logging hours at BU, in the development office. Parker’s fear of heights — small, enclosed spaces also made him nervous — is not unusual. About 12 percent of US adults have struggled at some point in their lives with a specific phobia, an often paralyzing fear of such things as spiders, flying, or driving over bridges or through tunnels, according to the National Institute of Mental Health. But as the population ages, researchers are realizing they have long underestimated the reach of these hidden anxieties among older adults. Anxiety disorders are now believed to be more prevalent than dementia in people over age 65. Yet Parker’s decision to seek help last spring, at the age of 71, is out of the ordinary. Only about one-third of those struggling with a phobia get treatment, government data show. Major life changes, such as retirement, can cast anxiety disorders into sharper focus, as people finally have more time to try new activities but are petrified of the very actions that would make those adventures possible, such as getting on a plane, said Dr. David Barlow, a BU professor emeritus who founded the school’s Center for Anxiety and Related Disorders. Barlow’s team helped Parker face and conquer his fears of heights and of enclosed spaces. “Very often, there is something someone wants to do, and there is a phobia getting in the way of them doing it,” Barlow said. Parker spent years white-knuckling it over the Tobin Bridge on his commute to Boston from the North Shore, driving only in the center lane and not daring to look sideways to avoid seeing the sheer drop below. And though Parker loves to sail, his claustrophobia meant he always had to have windows and the hatch wide open — even in pouring rain — when he slept in the tight quarters below. “Some of these folks have lived with this type of anxiety their entire life. They don’t know a life without anxiety. They don’t know that that is not normal,” said Gretchen Brenes, a professor of psychiatry and behavioral medicine at Wake Forest Baptist Medical Center. Brenes studies and treats adults over age 60 with anxiety disorders. 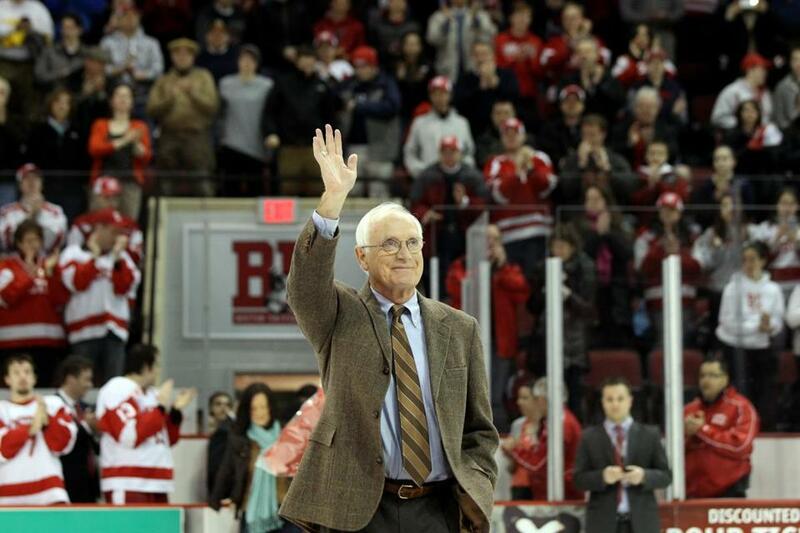 Jack Parker walked onto the ice at Agganis Arena before his number was retired in 2014. Help usually starts with a specialist figuring out what fuels a person’s specific anxiety. For instance, those who fear flying often admit to also worrying about suddenly acting irrationally on a plane, for instance trying to open the exit doors, embarrassing themselves and endangering others, said Sally Winston, cofounder of the Anxiety and Stress Disorders Institute of Maryland. Treatment involves helping a patient face the feared activity or situation in gradual steps, while talking the person through irrational thoughts. Patients are taught stress management techniques, such as deep breathing, while repeating a calming word. For Parker, that word has been “hockey,” which he repeated to himself as he breathed deeply while shut in a darkened, tiny closet during treatment to conquer his claustrophobia. Parker had often felt he couldn’t breathe when he was in confined spaces. When doctors at the BU center asked Parker to zero in on what frightened him about heights, he realized he had long worried about getting pushed, or inadvertently stepping, off a high spot. His treatment to battle fears about height involved climbing the stairs to the roof of the BU anxiety center, with a therapist by his side, and eventually walking out on the roof. “People who have a lifetime of avoiding something can get better just as fast as people who are young, as long as they’re cognitively and medically intact,” Winston said. For Parker, it took just six weeks of treatment at the BU center, followed by the therapist’s advice to continue the “exposure therapy” on his own as much as possible. That means regularly driving over the Tobin Bridge — in the outside lanes. “Now I look out at the boats to test myself,” Parker said. And he recently returned from a two-week sailing vacation on his boat, without having to fling open all the windows, door, and hatch when he was sleeping below. “It would be too bad if [other] people go through life without trying to get these types of things in the rear-view mirror,” Parker said. But Parker acknowledges the true test for him will come this winter. That’s when he heads out to Utah to ski that 8,000-foot mountain. Parker and the Terriers celebrated their 2009 national title.